Liverpool continued their raid of Southampton by completing the signing of defender Dejan Lovren. This £20m signing makes him the most expensive transfer for a defender in Liverpool history. Lovren is going to have a couple familiar faces in the Liverpool locker room to help with the transition, as he is the third signing following the fire sale at St. Mary’s Stadium after Adam Lallana and Rickie Lambert signed earlier in the transfer window. The shoring up of LFC’s defense was made a top priority by Brendan Rodgers and throwing down the cash for Lovren supports that. Rodgers is right, there are separate aspects to defense and attacking. Luis Suarez leaving had placed increased pressure on the attack of LFC to score goals. Lallana was supposed to be a puzzle piece to help fill the void when he signed over from Southampton for £25m, but his 6 week injury has most of the Liverpool faithful concerned. The 26-year-old attacking midfielder suffered a knee injury at Liverpool’s Harvard base in Boston on Thursday. Liverpool reported Lallana damaged the LCL, lateral collateral ligament. As we sit less than a month from the season, we are left wondering about if LFC will pony up the money for at least one more massive signing with the goal record we are longing for. Liverpool started the Guinness International Cup with a 1-0 victory over Olympiakos at Chicago’s Soldier Field. After a 0-1 loss to Roma at Fenway in Boston, starting this preseason cup with a win was vital. Next up Yankee Stadium in New York against league champions Manchester City is on the horizon and Charlotte, North Carolina against AC Milan after that. The low goal scoring matches has us anticipating the moment LFC starts placing the ball in the net, and with frequency. I cannot help but be crying for more goals after the lot down the road scored 7 against the Galaxy… albeit a MLS squad, it shows that LFC needs to get this machine into high gear. The match against City will be the true test of the pace that Liverpool will go into this EPL season. How do you think Liverpool is doing so far on the 2014 US Tour? Did you go out to Boston or Chicago to support LFC? Are you headed to New York or Charlotte? We want to see you LFC faithful supporting our squad. Post your photos on social media, tag @anfieldshop and use the #AnfieldShop to engage with us online. This entry was posted in Anfield Shop, Champions League, Liverpool Fan, Liverpool FC, Liverpool Fenway, Liverpool North American Tour, Liverpool Preseason, Luis Suarez, Matchday, New, New Season, Offseason, Signed, T-Shirts, The Anfield Shop, The Newest Reds, Twitter, Uncategorized, Warrior and tagged 2014-2015, 3rd kits, adam lallana, Anfield, Anfield Shop, anfield shop blog, Brendan, Brendan Rodgers, can, Daniel Sturridge, dejan lovren, ECL, emre can, EPL, Gerrard, Kop, lallana, Lambert, Lazar Markovic, LFC, Liverpool, Liverpool FC, lovren, luis suarez, Manchester City, Markovic, Randy Villarba, rickie lambert, Rodgers, SAS, Steven Gerrard, Suarez, Warrior Football on July 28, 2014 by Randy. 1. Lesson #1: If you can buy an item that supports a player’s Foundation or Charity, do it. We are huge supporters of Jamie Carragher’s 23 Foundation. They work unlike any other group out there to truly give supporter’s a chance to own quality items. They even do dedications. Jamie’s charity often pictures Jamie with the signed items, as shown on right. We’ve got a lot of their gear at the shop, with 100% of the purchase price going to them. Charities like the 23 Foundation (and the new Daniel Agger Foundation) offer a COA from them for their items, ensuring that you know it is authentic and that your purchase is going to a great cause. Authentic merchandise and all of your money goes to charity. A win-win. 2. Avoid eBay (most of the time). If you see a multi-signed Liverpool jersey on eBay for $200 or less, more than likely it’s fake. Look at the pen marks. Is the pressure the same for every signature? Fake. Are all of the signatures spaced evenly and look a little too good? Fake. When in doubt, ask questions. It’s next to impossible to get the entire squad of LFC to sign a jersey (unless it’s been issued from LFC and those are only given to charitable organizations to raise money). If you’re looking at a seller that has lots of them for sale (or has sold a lot of them), it’s not real. An example above is a fake signed shirt. Look at the signatures. Spaced too perfectly and the pen weight is all the same. That being said, there are reputable people on eBay. We can recommend some on request. 3. Players are increasingly turning to signing sessions. Companies out there like A1 Sporting Memorabilia and Exclusive Memorabilia, etc are paying and arranging for private signing sessions with players. These signing sessions are brilliant because they get the player in a calm, relaxed atmosphere so you know that the signatures are clear and come with a COA. 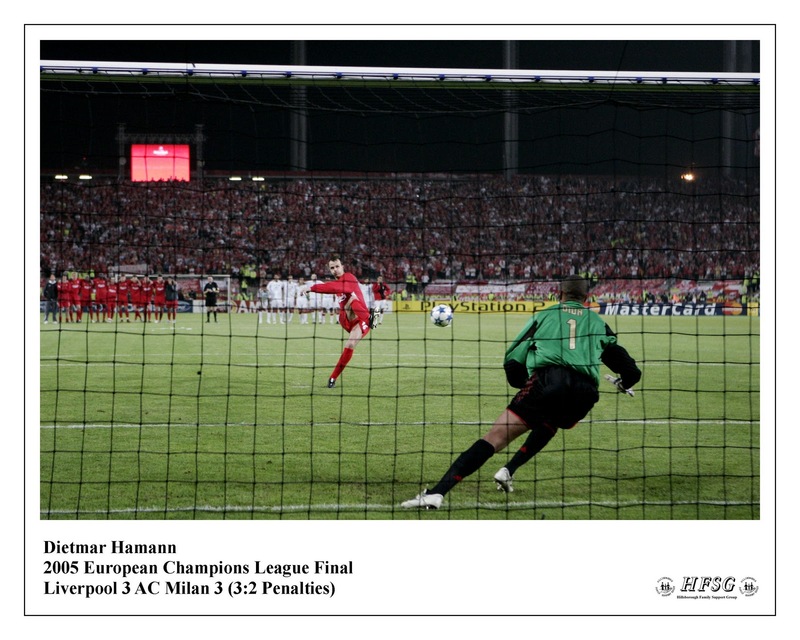 You can get items ranging from signed shirts to signed photos celebrating key moments in LFC history. We’ve worked with both A1 Sporting Memorabilia and Exclusive Memorabilia (and stock their items in our shop) and their names are very well-known in the memorabilia business. Pictured at left is a signed Steven Gerrard Carling Cup Program from A1 Sporting Memorabilia. 4. For Liverpool FC items there is a website out there called The Boys Pen (theboyspen.co.uk) dedicated to eradicating fake signed items and offering up signed items from folks on the forum who get items signed at Melwood, Anfield, and catching players all over. It’s a great place to head to if you’re just starting to build a memorabilia collection or if you want to have your existing one grow. 5. What is a COA? A COA (Certificate of Authenticity) is just a piece of paper. Anyone can create one. The issue is what’s behind it. A COA from Liverpool FC, the 23 Foundation, Daniel Agger Foundation, ensure that your purchase is protected and can appreciate throughout the years. A COA from “Bob’s Memorabilia Company”, not so much. 6. Provenance. Provenance is how the item in question came to be. If you’re buying a match-worn jersey from a player…there better be a pretty good story or reason to how the person came to own it since it is such a rare item. It’s never a bad idea to ask as many questions as it takes until you feel comfortable. For match-worn shirts we recommend footballmatchshirts.co.uk as the best folks out there for match-worn gear. As always, let us know if you have any questions…There’s nothing worse than feeling like something you spent a lot of money on isn’t authentic. The old adage is true. If it sounds too good to be true, it probably is. This entry was posted in 23 Foundation, Signed and tagged Collecting Liverpool FC, Signed Liverpool FC on October 25, 2012 by anfield. New Spring/Summer Items – In Stock Now!!! We just received a huge shipment of official spring/summer merchandise! Be sure to check out the site to view all of items that we now have in stock. We’re excited to have some Jamie Carragher signed 2-1 Liverpool FC Home Shirts available for those of you that collect signed shirts. These sell for $150.00 and are a must have for any collector! We also have some Official Liverpool FC Anfield T-Shirt Obsidian shirts. This is a black t-shirt, and has both “Anfield” and “You’ll Never Walk Alone” on the front. We have other t-shirts available as well – just look at the “new arrivals” tab on the homepage. Looking for a jacket? We have the Official Liverpool FC Benelli Jacket in stock for $90.00 or the Official Liverpool FC Bimota Jacket in Red. For those looking for ties, there is an official tie available for $20.00. The red cap is back in stock, as is the official boot bag. A trio of rubber ducks is certain to put a smile on anyone’s face! These are just some of the items available. We are happy to bring these items directly to you from England, and hope that you enjoy looking over the new items! Feel free to contact us if you have any questions. This entry was posted in Anfield Shop, Signed, The Anfield Shop on February 16, 2012 by anfield. It is only SEVEN short days until Liverpool FC takes the safety off and starts off the new season under King Kenny Dalglish. Mighty Reds fans only had about a half season with “El Pistolero.” Now we get to see what he can do during a full season, and some summer transfers that were brought in can only help extrapolate his immense footballing talents. Enjoy nearly 3 minutes of some Suarez appreciation! Here’s to hoping that the greatest number seven ever to wear a Reds kit can deploy Luis en route to player of the year honors! Want to party with other like minded football fans to kick off the start of the English Premier League season? Well then you are in luck! In SIX short days Anfieldshop.com is hosting an EPL kickoff party at THE home of soccer in the South Sound Doyle’s Public House We’ll have a raffle with autographed memorabilia, drink specials and be showing the 2005 UEFA champions league final on a giant outdoor screen! This entry was posted in Anfield Shop, Kickoff Party, Liverpool FC, Signed, Summer Transfer Window, Super Sale, The Anfield Shop on August 6, 2011 by christopher. What’s your most prized LFC possession? Is yours an autographed shirt, or other kit items? Maybe a photo and a handshake? Maybe a memory of a chance meeting at a restaurant or store? This particular bloggers item that tops his list is his personalized autograph Jamie Carragher autobiography. What’s yours? for one heck of a deal. Spread the word to all your footy loving friends to follow @AnfieldShopBlog and the more followers I get, the better deals we can offer you. Sound like a plan? This entry was posted in Anfield Shop, Prized Posession, Signed on May 5, 2011 by christopher. 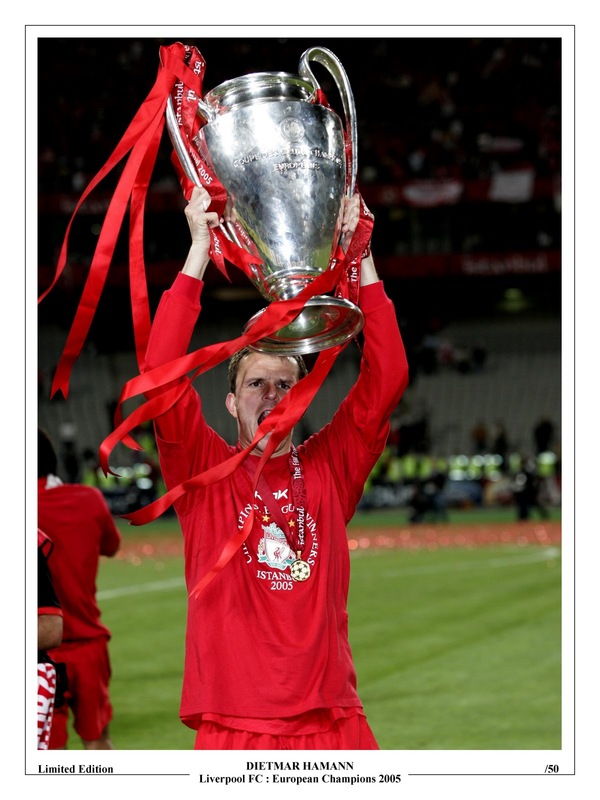 This entry was posted in Didi Hamann, Liverpool FC, Signed on December 20, 2010 by anfield.